Maria Sampen, Professor of Violin at the University of Puget Sound in Tacoma, WA, enjoys a vibrant career as concerto soloist, recitalist, chamber musician and teacher. Equally at home with repertoire ranging from classical to avant-garde to popular styles, Dr. Sampen has delighted audiences with her eclectic programs, her passionate performance style and her highly expressive playing. She has performed in Europe, Asia, Canada and all over the United States. Dr. Sampen’s recital and chamber music appearances have brought her to prominent venues including Carnegie Hall Weill Recital Hall, Symphony Space (NY), Bruno Walter Auditorium at Lincoln Center, Town Hall (Seattle), the Chicago Cultural Center and the Detroit Institute of Art. She has given recitals and masterclasses at universities throughout the country including the University of Michigan, Cornell, Eastman, the Boston Conservatory, the University of Oregon, the University of Minnesota, Bowling Green State University, Ohio University, and the University of Washington. She has also been a guest recitalist and master class clinician at the University of British Columbia and the Sichuan Conservatory in Chengdu, China. In addition to her work as a soloist, Dr. Sampen concertizes frequently with her new music group, Brave New Works, the Puget Sound Piano Trio, and the IRIS Orchestra of Tennessee. Dr. Sampen is a passionate supporter of contemporary music and has commissioned and premiered recent concertos for violin and orchestra by composers David Glenn, Marilyn Shrude and Robert Hutchinson. Additionally, she has commissioned and premiered an impressive body of chamber works, collaborating with composers such as William Bolcom, William Albright, Bright Sheng, Marcos Balter, Andrew Mead, Robert Morris, Nico Muhly and Forrest Pierce. Sampen has released recordings on AMP Records, Block M Records and Perspectives in New Music/Open Space. She recently recorded Georges Enesco’s Sonata No. 3, Zoltan Kodály’s Duo for Violin and Cello, Luciano Berio’s Duetti for Two Violins and Marilyn Shrude’s “Memorie di Luoghi” all of which will be released in 2018. Dr. Sampen teaches a talented studio of violinists at the University of Puget Sound. She also coaches chamber music, directs the New Music Ensemble and chairs the string department. She has twice received the University of Puget Sound’s Thomas A. Davis Teaching Award for excellence in teaching. 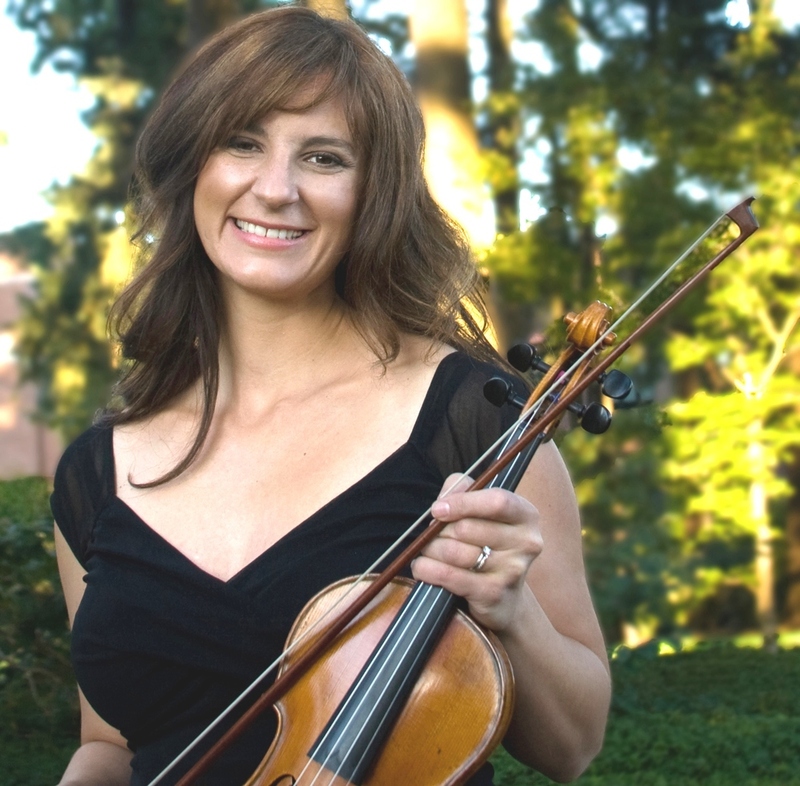 Her students are frequent winners of local concerto competitions and have also won top awards at the Music Teacher National Association Competition, the Tacoma Philharmonic Solo Competition, and the American String Teacher Washington State Competition. Dr. Sampen has also served on the faculties of the Brevard Music Festival in North Carolina and the Icicle Creek Chamber Music Institute in Washington. Dr. Sampen is a graduate of the University of Michigan and Rice University. Her major teachers include Paul Kantor, Kenneth Goldsmith and Paul Makara. She has also performed and studied at the Mozarteum Sommerakademie, the Banff Centre for the Arts, the Musicorda Festival, the Carnegie Hall Professional Training Workshop, and as a fellow at both the Aspen and Tanglewood Music Festivals.